This Week: Spring is Here! Pick an Event or Two to Get To. Glamorous, larger than life, and drop-dead funny, opera diva Maria Callas is here to teach a master class. As she leads three aspiring voice students, Callas offers an intimate look into her life: her tumultuous affairs, her ugly duckling start, her fierce hatred of rivals, and the unforgiving press. The results are often hilarious, frequently moving, and ultimately riveting. Jazz vocalist and recording artist Vivian Lee specializes in the standards-Gershwin, Ellington, Jobim, with some Brubeck, Hubbard, Monk, and Gillespie thrown in-taking some of their instrumental works and adding lyrics to make them uniquely hers. The evening begins with a performance by saxophonist Ava Lemert and closes with tunes spun by DJ Rock Bottom. Kevin "DotCom" Brown can be seen each week on NBC&apos;s comedy series 30 Rock. He has been a triple-threat in entertainment for over 20 years, being featured on Late Night with Conan O&apos;Brien, Human Giant, & more. Brown & his brother Andre created The Uptown Comedy Club, the most successful comedy club in the country in the late &apos;80s & early &apos;90s. Come see Kevin Brown rock Sacramento Nightlife! Although the Bockbier season varies from country to country, it&apos;s available for a limited time in any region-hence the need for a commemorative celebration. 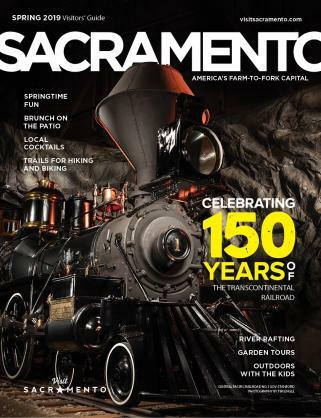 Sacramento&apos;s version includes lively German music by the Sacramento Turner Harmonie, Bavarian folk dancing, German food, coffee cake, and Bockbier flowing like the Sacramento River. Dance to The Q Balls on Friday night and the AKA Live Band on Saturday night in the Upstairs Party Room. Earth Fest at the Sacramento Zoo--it&apos;s a party for the planet! Learn how to protect and preserve the earth with environmental, wildlife, and conservation organizations. During the day, visit Wildlife Wagons to explore animal bio-artifacts; participate in storytelling and activities in the Discovery Room; come face-to-face with the outreach animals; or listen as keepers present enrichment talks in the afternoon. The Recycle Rummage Sale takes place inside the Kampala Center. In celebration of the new and visually exciting Pick Me! Fruit Crate Art & the California Dream exhibit , guests can enjoy fun-filled activities such as hand-car rides, a produce-inspired scavenger hunt, kid-friendly programs, create-your-own fruit crate labels, "California Grown" activity book games, and more. This event coincides with the first day of the Excursion Train Ride season, so make a day of it! 2011 marks the 20th anniversary of the passing of French Icon Serge Gainsbourg. Singer-songwriter, director, actor, photographer, provocateur, iconoclast, and much more, Gainsbourg was a major figure in &apos;60s, &apos;70s, & &apos;80s pop-culture, all through a fog of Gitanes and alcohol. Today, he is still considered one of the world&apos;s most influential popular musicians. Come and celebrate the spirit of "Gainsbarre!" Featuring music by DJ Christophe and DJ Roger, music videos, live music, and film clips. Zepparella is four women intent on bringing alive the passion, the beauty, the intensity, and the spirit of Led Zeppelin. Zepparella delivers an explosive, emotional musical journey, with reverence to the holy ground upon which they tread. No Bozoz is a band of seasoned musicians who recreate the sounds of the &apos;80s, when alternative music was "new wave." After canceling the 11-year-old weekly Lipstick, people were super-bummed and wanted it back. Hence, Lipstick returns as a monthly weekender, 1st Saturdays inside Old I! Shaun Slaughter & Roger Carpio spin indie rock, indie pop, Britpop, &apos;60s soul, and other gems. Come celebrate the 20th Anniversary of the Festival de la Familia event, which is fresh, fun, and for the family. At this multi-ethnic Festival you can feast on the many Latin flavors and savory dishes, view colorful arts and crafts-or create your own, shop at the open-air Mercado, listen and dance to the rhythms of genuine Latin music, and much, much more! -Sacramento365 is on the lookout for a student intern to assist with administrative tasks, event outreach, and blogging. School credit can be earned and some recommended areas of study include (but are not limited to): Marketing, Arts, Computer Science/Information Tech, etc. We are also looking for reliable and outgoing volunteers to assist with event outreach and write-ups. Volunteering with Sacramento365 is a wonderful way to gain work experience while being involved with your community. Interested in the internship opportunity or volunteering? 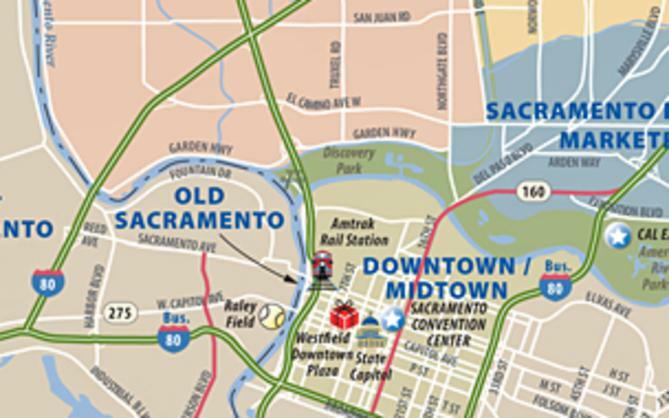 Submit your resume and letter of interest to support@sacramento365.com. Sac365&apos;s Deal of the Week: Only $29 for a one-hour massage ($70 value)! -Have you been looking for a massage therapist who does outstanding bodywork and takes your massage seriously? Look no further-New Found Health is here to exceed your expectations. New Found Health focuses on integrative massage therapy, and it is their mission to help ease the pains of life. Their one-hour massage includes a 10-minute consultation to help clients flesh out what they expect to achieve from their sessions followed by a full 60 minutes of bodywork. Let New Found Health ease your pain with a one-hour massage, just $29 (a $70 value)! 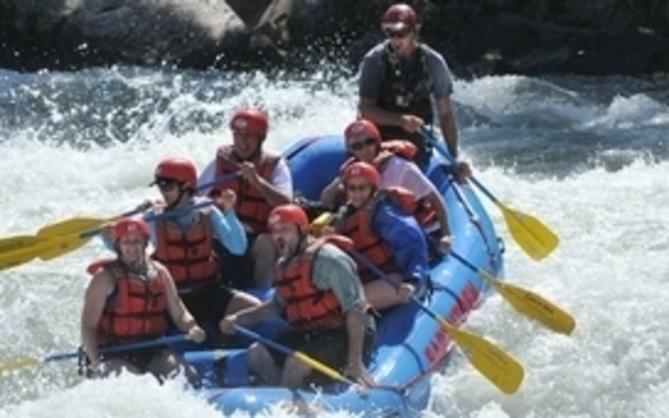 Take advantage of this deal Tuesday through Friday only, on Sacramento365.com&apos;s Weekly Deal Page.